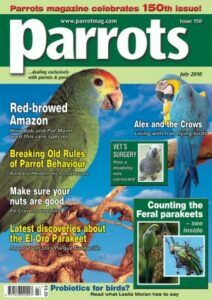 Using diet and nutrition for healing and health is the foundation of my work with parrots and all birds. I want to make it easy for you to provide your birds the highest quality, sprouting blends available. And I want you to be successful in learning to sprout the correct way for the climate where you live. I also want you to begin getting results comparable to those seen with my clients and the birds under my care. Our sprouting blends have been especially formulated to provide complete protein. This single factor can produce huge results towards preventing and curing the symptoms of avian malnutrition or healing illness and disease. Our sprouting blends were created because there is a fundamental need for avian caretakers to begin feeding complete protein sprouting blends to their birds. Learn about the nutrients in our sprouting blends. Only our Sprouting Blends have been shown to be a functional food. Recent clinical observations have indicated that our proprietary 100% Organic – Compete Protein – Sprouting Blends may have played a role in preventing the development of certain diseases typically associated with a parrot’s normal aging process. Discover the features and benefits of our sprouting blends. I know you want to do what’s right when it comes to feeding your birds. That’s why you found this website. 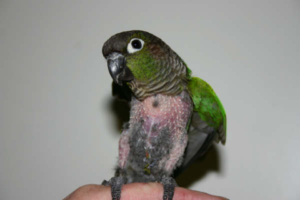 You want your birds to be happy and healthy with beautiful feathers, cooperative behaviors and lovable personalities. Properly balanced avian nutrition will give you all of these things. But what is ‘properly balanced avian nutrition’? Each species of bird has general nutritional needs. And each individual bird within a species has specific nutritional requirements. Properly balanced avian nutrition is best determined for each individual bird. However, there is one food you can add to your bird’s diet – right now – that will bring you closer to feeding properly balanced avian nutrition – our sprouting blends. All the birds under your care will be helped from eating our sprouting blends because sprouts are the most nutrient rich food on the planet. You’ve got to be feeding your birds a well-balanced formula of a properly grown sprouting blend – or they’re missing vital nutrients. Nutrients that build healthy bodies, grow healthy feathers and support stable personalities. If you’re feeding our sprouting blends, please let us know your experiences. What Is Holistic Health Care for Animals?